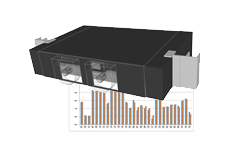 Alcatel Lucent created a thermal model of a rack mounted telecommunication module using 6SigmaET. 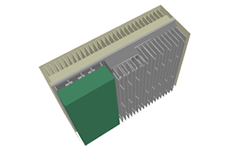 The telecommunication module is high powered and is cooled by forced convection. 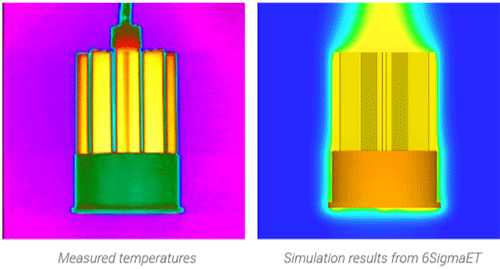 The results of the thermal simulation have an excellent correlation with measured temperatures. Alcatel Lucent created a thermal model of a Remote Radio Head (RRH) using 6SigmaET. The RRH is mounted externally and is cooled by natural convection. The effect of solar radiation is considered in the simulation. 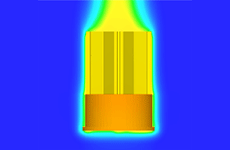 The results of the thermal simulation have an excellent correlation with measured temperatures. 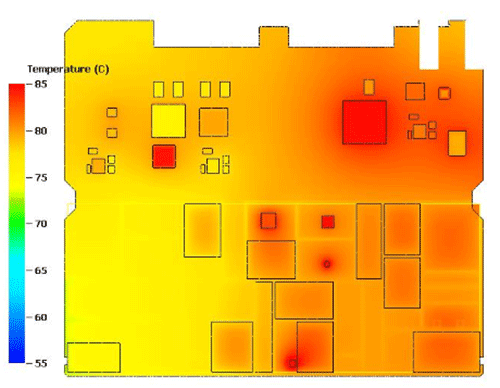 ATS Europe used Future Facilities' 6SigmaET simulation software to model the thermal performance of an newly designed LED lamp. Different configurations of printed circuit boards (PCB) were evaluated using the software. They found that 6SigmaET was able to predict the junction temperatures within 5% of the experimental values.